Niklas Luhmann (December 8, 1927 – November 6, 1998) was a German sociologist, and a prominent thinker in systems theory, who is increasingly recognized as one of the most important social theorists of the 20th century. Luhmann was born in Lüneburg, Lower Saxony, where his father's family had been running a brewery for several generations. After graduating from the Johanneum school in 1943, he was conscripted as a Luftwaffenhelfer in World War II and served for two years until, at the age of 17, he was taken prisoner of war by American troops in 1945. After the war Luhmann studied law at the University of Freiburg from 1946 to 1949, when he obtained a law degree, and then began a career in Lüneburg's public administration. During a sabbatical in 1961, he went to Harvard, where he met and studied under Talcott Parsons, then the world's most influential social systems theorist. In later years, Luhmann dismissed Parsons' theory, developing a rival approach of his own. Leaving the civil service in 1962, he lectured at the national Deutsche Hochschule für Verwaltungswissenschaften (University for Administrative Sciences) in Speyer, Germany, until 1965, when he was offered a position at the Sozialforschungsstelle (Social Research Centre) of the University of Münster, led by Helmut Schelsky. 1965/66 he studied one semester of sociology at the University of Münster. Two earlier books were retroactively accepted as a PhD thesis and habilitation at the University of Münster in 1966, qualifying him for a university professorship. In 1968/1969, he briefly served as a lecturer at Theodor Adorno's former chair at the University of Frankfurt and then was appointed full professor of sociology at the newly founded University of Bielefeld, Germany (until 1993). He continued to publish after his retirement, when he finally found the time to complete his magnum opus, Die Gesellschaft der Gesellschaft (literally, "The Society of Society"), which was published in 1997. Luhmann himself described his theory as "labyrinth-like" or "non-linear" and claimed he was deliberately keeping his prose enigmatic to prevent it from being understood "too quickly", which would only produce simplistic misunderstandings. Luhmann's systems theory focuses on three topics, which are interconnected in his entire work. The core element of Luhmann's theory is communication. Social systems are systems of communication, and society is the most encompassing social system. Being the social system that comprises all (and only) communication, today's society is a world society. A system is defined by a boundary between itself and its environment, dividing it from an infinitely complex, or (colloquially) chaotic, exterior. The interior of the system is thus a zone of reduced complexity: Communication within a system operates by selecting only a limited amount of all information available outside. This process is also called "reduction of complexity". The criterion according to which information is selected and processed is meaning (in German, Sinn). Both social systems and psychical or personal systems (see below for an explanation of this distinction) operate by processing meaning. Furthermore, each system has a distinctive identity that is constantly reproduced in its communication and depends on what is considered meaningful and what is not. If a system fails to maintain that identity, it ceases to exist as a system and dissolves back into the environment it emerged from. Luhmann called this process of reproduction from elements previously filtered from an over-complex environment autopoiesis (pronounced "auto-poy-E-sis"; literally: self-creation), using a term coined in cognitive biology by Chilean thinkers Humberto Maturana and Francisco Varela. Social systems are operationally closed in that while they use and rely on resources from their environment, those resources do not become part of the systems' operation. Both thought and digestion are important preconditions for communication, but neither appears in communication as such. Note, however, that Maturana argued very vocally that this appropriation of autopoietic theory was conceptually unsound, as it presupposes the autonomy of communications from actual persons. That is, by describing social systems as operationally closed networks of communications, Luhmann ignores the fact that communications presuppose human communicators. Autopoiesis only applies to networks of processes that reproduce themselves, but communications are reproduced by humans. For this reason, the analogy from biology to sociology does not, in this case, hold. Luhmann likens the operation of autopoiesis (the filtering and processing of information from the environment) to a program, making a series of logical distinctions (in German, Unterscheidungen). Here, Luhmann refers to the British mathematician G. Spencer-Brown's logic of distinctions that Maturana and Varela had earlier identified as a model for the functioning of any cognitive process. The supreme criterion guiding the "self-creation" of any given system is a defining binary code. This binary code, is not to be confused with the computers operation: Luhmann (following Spencer-Brown and Gregory Bateson) assumes that auto-referential systems are continuously confronted with the dilemma of disintegration/continuation. This dilemma is framed with an ever-changing set of available choices; everyone of those potential choices can be the system's selection or not (a binary state, selected/rejected). The influence of Spencer-Brown's book, Laws of Form, on Luhmann can hardly be overestimated. Although Luhmann first developed his understanding of social systems theory under Parsons' influence, he soon moved away from the Parsonian concept. The most important difference is that Parsons used systems merely as an analytic tool to understand certain processes going on in society; Luhmann, in contrast, treats his vision of systems ontologically, saying that "systems exist". That is, Luhmann in fact suggests to substitute the paradigm of systems theory for the ontological paradigm: the difference system/environment (which also signifies a relationship). Another difference is that Parsons asks how certain subsystems contribute to the functioning of overall society. Luhmann starts with the differentiation of the systems themselves out of a nondescript environment. He does observe how certain systems fulfill functions that contribute to "society" as a whole, but this is happening more or less by chance, without an overarching vision of society. Finally, the systems' autopoietic closure is another fundamental difference from Parsons' concept. Each system works strictly according to its very own code and has no understanding at all of the way other systems perceive their environment. For example, the economy is all about money, so there is no independent role in the economic system for extraneous aspects such as morals. Upon Luhmann's attempt of defining the relationship value of environment/system we can see a reluctantly atheist approach denying the 'cause' of the creator. One seemingly peculiar, but within the overall framework strictly logical, axiom of Luhmann's theory is the human being's position outside any social system, initially developed by Parsons. Consisting of "pure communicative actions" (a reference to Jürgen Habermas) any social system requires human consciousnesses (personal or psychical systems) as an obviously necessary, but nevertheless environmental resource. In Luhmann's terms, human beings are neither part of society nor of any specific systems, just as they are not part of a conversation. Luhmann himself once said concisely that he was "not interested in people". That is not to say that people were not a matter for Luhmann, but rather, the communicative actions of people are constituted (but not defined) by society, and society is constituted (but not defined) by the communicative actions of people: society is people's environment, and people are society's environment. Thus, sociology can explain how persons can change society; the influence of the environment (the people) on the system (the society), the so-called "structural coupling". 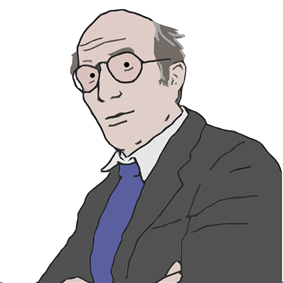 In fact Luhmann himself replied to the relevant criticism by stating that "In fact the theory of autopoietic systems could bear the title Taking Individuals Seriously, certainly more seriously than our humanistic tradition" (Niklas Luhmann, Operational Closure and Structural Coupling: The Differentiation of the Legal System, Cardozo Law Review, vol. 13: 1422). This approach has attracted criticism from those who argue that Luhmann has at no point demonstrated the operational closure of social systems, or in fact that autopoietic social systems actually exist. He has instead taken this as a premise or presupposition, resulting in the logical need to exclude humans from social systems, which prevents the social systems view from accounting for the individual behavior, action, motives, or indeed existence of any individual person. Luhmann was devoted to the ideal of non-normative science introduced to sociology in the early 20th century by Max Weber and later re-defined and defended against its critics by Karl Popper. However, in an academic environment that never strictly separated descriptive and normative theories of society, Luhmann's sociology has widely attracted criticism from various intellectuals, perhaps most notably from Jürgen Habermas. In Germany: Gunther Teubner, Dirk Baecker, Peter Fuchs, Marie Theres Fögen, André Kieserling, Helmut Willke, Urs Stäheli, Lukas Scheiber, Harry Lehmann, Armin Nassehi, Jasmin Siri, Niels Werber. In Switzerland: Rudolph Stichweh, Cornelia Bohn, David Seidl, Nicolas Hayoz, Hanno Pahl, Patricia Wolf. In Sweden: Dimitris Michailakis, Jan-Inge Jönhill, Vessela Misheva, Heike Graf. In the Netherlands: Wil Martens, Willem Schinkel, Lyana Francot-Timmermans. In Belgium: Rudi Laermans, Ralf Wetzel, Raf Vanderstaete, Marta Lenartowicz. In France: Steffen Roth, Jean Clam, Estelle Ferrarese. In Italy: Mario Giuseppe Losano, Michele Infante, Claudio Baraldi, Giancarlo Corsi, Raffaele De Giorgi, Elena Esposito, Fedele Paolo, Giorgio Manfré. In Portugal: Pierre Guibentif; João Pissarra Esteves. In Brazil: Marcelo da Costa Pinto Neves, Celso Fernandes Campilongo, Gabriel Cohn, Paulo A. de Menezes Albuquerque, Almiro Petry, Leonel Severo Rocha, Germano Schwartz, Orlando Villas Boas Filho, Guilherme Leite Gonçalves, Artur Stamford da Silva, Lucas Fucci Amato. In Canada: Peter Beyer, Stephen Schecter, David Connell. In Chile: Fernando Robles Salgado, Darío Rodriguez, Aldo Mascareño, Marcelo Arnold. In Japan: Masachi Osawa, Daizaburo Hashizume, Toru Hijikata, Toshiki Sato. It is often being used in analyses dealing with legitimacy, governance structures as well as with sociology of law and of course general sociology. Luhmann also appears as a character in Richard Buckminster Fuller. Luhmann owned a pub ("Pons") in his parents' house in his native town of Lüneburg. The house, which also contained his father's brewery, had been in his family's hands since 1857. A certain number of original books and articles are available for download (see below: External Links). Detlef Horster (1997), Niklas Luhmann, München. David Seidl and Kai Helge Becker: Niklas Luhmann and Organization Studies. Copenhagen Business School Press, Copenhagen 2005, ISBN 978-87-630-0162-5. Ilana Gershon (2005) "Seeing Like a System: Luhmann for Anthropologists." Anthropological Theory 5(2): 99-116. Giorgio Manfré, "La società della società", QuattroVenti, Urbino, 2008. Giorgio Manfré, "Eros e società-mondo. Luhmann/Marx Freud", QuattroVenti, Urbino, 2004. Hans-Georg Moeller (2012). The Radical Luhmann, New York. Javier Torres Nafarrete y Darío Rodríguez Mansilla (2008): Introducción a la Teoría de la Sociedad de Niklas Luhmann. México: Editorial Herder. Oliver Jahraus, Armin Nassehi et al. (2012). Luhmann-Handbuch. Leben - Werk - Wirkung, Stuttgart. Georg Kneer and Armin Nassehi (2004). Niklas Luhmann. Eine Einführung, München. Magdalena Tzaneva (ed. ), Nachtflug der Eule. Gedenkbuch zum 15. Todestag von Niklas Luhmann, Berlin 2013. ^ Ziemann, Benjamin (2007). "The Theory of Functional Differentiation and the History of Modern Society. Reflections on the Reception of Systems Theory in Recent Historiography". Soziale System, 13 (1+2). pp. 220–229. ^ Bechmann and Stehr, 'The Legacy of Niklas Luhmann' Society (2002). ^ In an interview Luhmann once said: "... die Behandlung war – gelinde gesagt – nicht nach den Regeln der internationalen Konventionen". Source: Detlef Horster (1997), Niklas Luhmann, München, p.28. ^ "Niklas Luhmann: Unverständliche Wissenschaft: Probleme einer theorieeigenen Sprache, in: Luhmann, Soziologische Aufklärung 3: Soziales System, Gesellschaft, Organisation. Wiesbaden: VS Verlag, 4th. ed. 2005, pp. 193-205, quote on p. 199. ^ Niklas Luhmann. (1982). The World Society as a Social System. International Journal of General Systems, 8:3, 131-138. ^ "Foundations of Niklas Luhmann's Theory of Social Systems", Philosophy of the Social Sciences, 29:4, 481-516, 1999. ^ "Neither Cited nor Foundational: Niklas Luhmann's Ecological Communication", The Communication Review, 8: 329–362, 2005; "Gregory Bateson, Niklas Luhmann, and Ecological Communication", The Communication Review, Volume 11, Issue 2 April 2008, pages 151 - 175.